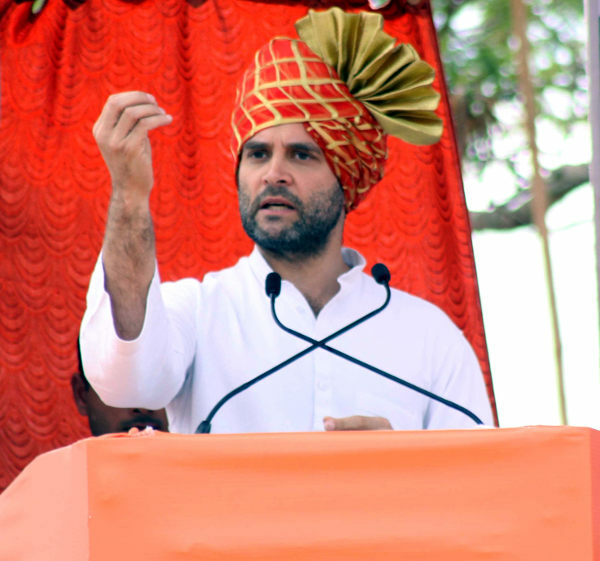 Speaking at the Congress rally at CpEd ground in Belgaum Congress vice-president Rahul Gandhi today openly lashed out at the BJP alleging that its leaders in Karnataka, Madhya Pradesh, Chhatisgarh are corrupt. The previous government in Karnataka led by the saffron party had only looted the state and never did anything for the people of Karnataka. He also accused BJP of blocking passage of six anti-graft bills by Parliament, which form part of the government’s anti-corruption framework.Gandhi has assured that Congress will put in its complete efforts in making India, a corrupt free Nation. He also assured of passing the Women Reservation Bill in the Parliament if voted to power for the third time. Rahul Gandhi reminded people that it was the Congress leaders like Devraj Urs and Rajiv Gandhi who made Karnataka prosperous by ushering in IT revolution and worked for the welfare of poor people. He praised the Congress for the RTI act and the IT revolution started by Rajiv Gandhi.